Autumn is my favorite time of the year. Time for cool, crisp mornings, leaves crunching under foot, enjoying tall cool glasses of apple cider and our annual pumpkin patch visit. I am joining Vicki and Nathalie in The Whatevers - Creative Story Telling and Crafty Secrets Link up Party. 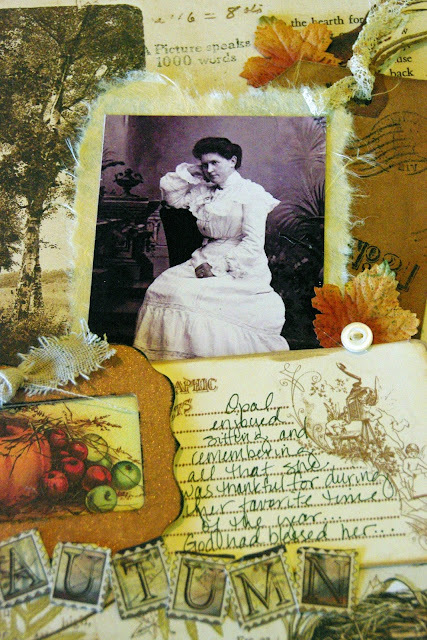 In completing each of my pages in my "Adventure in Storytelling" journal I am infusing a little of me and my family in telling the stories of these forgotten faces. Just like Opal, I too enjoy reflecting on all that I am thankful for... God has blessed me in so many ways. 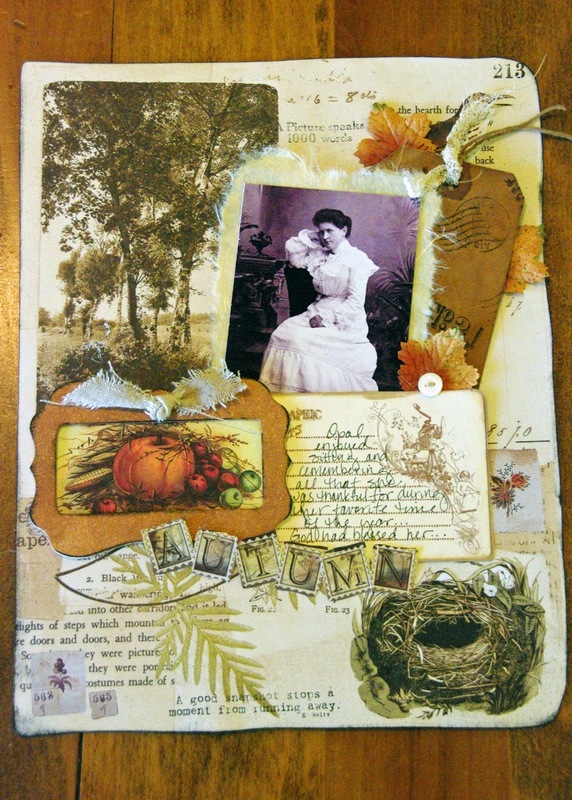 I stamped on the background paper and tag with Crafty Secrets Stamps and added Crafty Secrets autumn images. 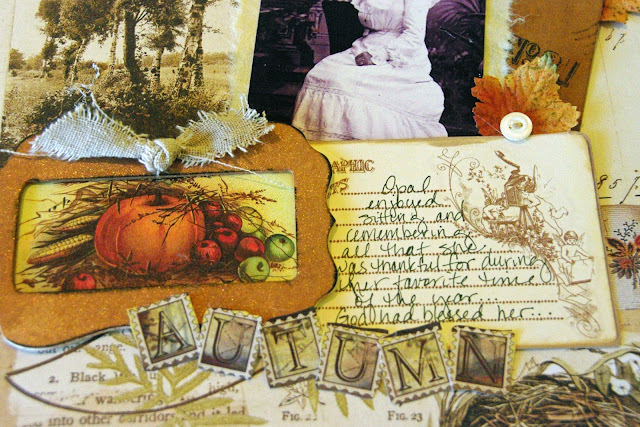 I am in love with the autumn theme I created and how this page came together. This morning as I walked outside it was a cool crisp morning... hopefully fall is just right around the corner. Oh Sheila this is stunning! What beautiful colors! And I see CS stuff on there too:) So glad you are playing along!! I love your story about Opal, and your colors are BEAUTIFUL! Thank you for playing along and for sharing your work with us! Oh, what a beautiful page, Sheila! Love all the Crafty Secrets touches, too! Wishing you the most beautiful almost-fall day, dear friend! beautiful work sheila. i love fall too. have been enjoying these cooler mornings!! Fabulous LO! It's so fun to see this same gal in all our different creations. Love how you've done this.